Manafort has served as an adviser to the U.S. presidential campaigns of Republicans Gerald Ford, Ronald Reagan, George H. W. Bush, and Bob Dole. In 1980, he co-founded the Washington, D.C.-based lobbying firm Black, Manafort & Stone, along with principals Charles R. Black Jr., and Roger J. Stone, joined by Peter G. Kelly in 1984. Manafort often lobbied on behalf of foreign leaders such as former President of Ukraine Viktor Yanukovych, former dictator of the Philippines Ferdinand Marcos, former dictator of Zaire Mobutu Sese Seko, and Angolan guerrilla leader Jonas Savimbi. Lobbying to serve the interests of foreign governments requires registration with the Justice Department under the Foreign Agents Registration Act (FARA); on June 27, 2017, he retroactively registered as a foreign agent. On October 27, 2017, Manafort and his business associate Rick Gates were indicted in the U.S. District Court for the District of Columbia on multiple charges arising from his consulting work for the pro-Russian government of Viktor Yanukovych in Ukraine before Yanukovych's overthrow in 2014. The indictment had been requested by Robert Mueller's Special Counsel investigation. In June 2018, additional charges were filed against Manafort for obstruction of justice and witness tampering that are alleged to have occurred while he was under house arrest, and he was ordered to jail. Manafort was prosecuted in two federal courts. In the Eastern District of Virginia, in August 2018, Manafort was convicted on eight charges of tax and bank fraud. A mistrial was declared on ten other charges, though he later admitted to them. In the DC District Court, Manafort pleaded guilty to two charges of conspiracy to defraud the United States and witness tampering, while agreeing to cooperate with prosecutors. On November 26, 2018, Robert Mueller reported that Manafort violated his plea deal by repeatedly lying to investigators, and on February 13, 2019, DC District Court Judge Amy Berman Jackson concurred, voiding the plea deal. Mueller advised the Virginia court that sentencing guidelines call for Manafort to serve 19 and a half years to 24 years in prison. On March 7, 2019, Judge T.S. Ellis, calling the Mueller applicable sentencing guideline "excessive", sentenced Manafort to 47 months in prison. On March 13, 2019, Judge Amy Berman Jackson of the D.C. Circuit Court sentenced Manafort to an additional 43 months in prison. Minutes after his sentencing, New York state prosecutors charged Manafort with sixteen state felonies. Paul John Manafort Jr. was born on April 1, 1949, in New Britain, Connecticut. Manafort's parents are Antoinette Mary Manafort (née Cifalu; 1921–2003) and Paul John Manafort Sr. (1923–2013). His grandfather immigrated to the United States from Italy in the early 20th century, settling in Connecticut. He founded the construction company New Britain House Wrecking Company in 1919 (later renamed Manafort Brothers Inc.). His father served in the U.S. Army combat engineers during World War II and was mayor of New Britain from 1965 to 1971. His father was indicted in a corruption scandal in 1981 but not convicted. In 1967, Manafort graduated from St. Thomas Aquinas High School, a private Roman Catholic secondary school, closed in 1999, in New Britain. He attended Georgetown University, where he received his B.S. in business administration in 1971 and his J.D. in 1974. Between 1977 and 1980, Manafort practiced law with the firm of Vorys, Sater, Seymour and Pease in Washington, D.C. He forfeited his Connecticut Bar license on January 11, 2019. In January 2019, Manafort's lawyers submitted a filing to the court in response to the allegation that Manafort had lied to investigators. Through an error in redacting, the document accidentally revealed that while he was campaign chairman, Manafort met with Konstantin Kilimnik, who is believed to be linked to Russian intelligence. The filing says Manafort gave him polling data related to the 2016 campaign and discussed a Ukranian peace plan with him. Most of the polling data was reportedly public, although some was private Trump campaign polling data. Manafort asked Kilimnik to pass the data to Ukrainians Serhiy Lyovochkin and Rinat Akhmetov. During a February 4, 2019, closed-door court hearing regarding false statements Manafort had made to investigators about his communications with Kilimnik, special counsel prosecutor Andrew Weissmann told judge Amy Berman Jackson that "This goes, I think, very much to the heart of what the special counsel’s office is investigating," suggesting that Mueller's office continued to examine a possible agreement between Russia and the Trump campaign. Manafort has represented Angolan rebel leader Jonas Savimbi. 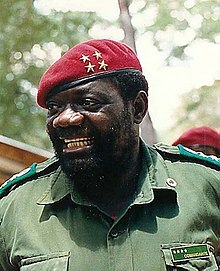 In 1985, Manafort's firm, BMSK, signed a $600,000 contract with Jonas Savimbi, the leader of the Angolan rebel group UNITA, to refurbish Savimbi's image in Washington and secure financial support on the basis of his anti-communism stance. BMSK arranged for Savimbi to attend events at the American Enterprise Institute (where Jeane Kirkpatrick gave him a laudatory introduction), The Heritage Foundation, and Freedom House; in the wake of the campaign, Congress approved hundreds of millions of dollars in covert American aid to Savimbi's group. Allegedly, Manafort's continuing lobbying efforts helped preserve the flow of money to Savimbi several years after the Soviet Union ceased its involvement in the Angolan conflict, forestalling peace talks. Manafort was a lobbyist for former Philippine President Ferdinand Marcos. 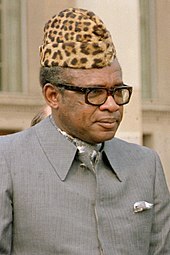 Manafort lobbied on behalf of former Zairean President Mobutu Sese Seko. Between June 1984 and June 1986, Manafort was a FARA-registered lobbyist for Saudi Arabia. The Reagan Administration refused to grant Manafort a waiver from federal statutes prohibiting public officials from acting as foreign agents; Manafort resigned his directorship at OPIC in May 1986. An investigation by the Department of Justice found 18 lobbying-related activities that were not reported in FARA filings, including lobbying on behalf of The Bahamas and Saint Lucia. Manafort's firm, BMSK, accepted $950,000 yearly to lobby for then-president of the Philippines Ferdinand Marcos. He was also involved in lobbying for Mobutu Sese Seko of Zaïre, securing a US$1 million annual contract in 1989, and attempted to recruit Siad Barre of Somalia as a client. His firm also lobbied on behalf of the governments of the Dominican Republic, Equatorial Guinea, Kenya (earning between $660,000 and $750,000 each year between 1991 and 1993), and Nigeria ($1 million in 1991). These activities led Manafort's firm to be listed amongst the top five lobbying firms receiving money from human-rights abusing regimes in the Center for Public Integrity report "The Torturers' Lobby". Financial records certified in December 2015 and filed by Manafort in Cyprus showed him to be approximately $17 million in debt to interests connected to interests favorable to Putin and Yanukovych in the months before joining the Trump presidential campaign in March. These included a $7.8 million debt to Oguster Management Limited, a company connected to Russian oligarch and close Putin associate Oleg Deripaska. This accords with a 2015 court complaint filed by Deripaska claiming that Manafort and his partners owed him $19 million in relation to a failed Ukrainian cable television business. In January 2018, Surf Horizon Limited, a Cyprus-based company tied to Deripaska, sued Manafort and his business partner Richard "Rick" Gates, accusing them of financial fraud by misappropriating more than $18.9 million that the company had invested in Ukrainian telecom companies, known collectively as the “Black Sea Cable.” An additional $9.9 million debt was owed to a Cyprus company that tied through shell companies to Ivan Fursin [uk], a Ukrainian Member of Parliament of the Party of Regions. Manafort spokesman Jason Maloni maintained in response that "Manafort is not indebted to Deripaska or the Party of Regions, nor was he at the time he began working for the Trump campaign." During the 2016 Presidential campaign, Manafort, via Russian-Ukrainian Kiev-based operative Konstantin Kilimnik, offered to provide briefings on political developments to Deripaska, though there is no evidence that the briefings took place. Reuters reported on June 27, 2018, that an FBI search warrant application in July 2017 revealed that a company controlled by Manafort and his wife had received a $10 million loan from Deripaska. According to leaked text messages between his daughters, Manafort was also one of the proponents of violent removal of the Euromaidan protesters, which resulted in police shooting dozens of people during 2014 Hrushevskoho Street riots. In one of the messages, his daughter writes that it was his "strategy that was to cause that, to send those people out and get them slaughtered." Manafort has rejected questions about whether Kilimnik, with whom he consulted regularly, might be in league with Russian intelligence. According to Yuri Shvets, Kilimnik previously worked for the GRU, and every bit of information about his work with Manafort went directly to Russian intelligence. Lobbying for foreign countries requires registration with the Justice Department under the Foreign Agents Registration Act (FARA). Manafort did not do so at the time of his lobbying. In April 2017, a Manafort spokesman said Manafort was planning to file the required paperwork; however, according to Associated Press reporters, as of June 2, 2017, Manafort had not yet registered. On June 27, he filed to be retroactively registered as a foreign agent. Among other things, he disclosed that he made more than $17 million between 2012 and 2014 working for a pro-Russian political party in Ukraine.The sentencing memorandum submitted by the Office of Special Council on February 23, 2019 stated that the "filing was plainly deficient. Manafort entirely omitted [his] United States lobbying contracts ... and a portion of the substantial compensation Manafort received from Ukraine." Early in 2017, Manafort supported Chinese efforts at providing development and investment worldwide and in Puerto Rico and Ecuador. Early in 2017, he discussed possible Chinese investment sources for Ecuador with Lenín Moreno who later obtained loans worth several billion US dollars from the China Development Bank. In May 2017, Manafort and Moreno discussed the possibility of Manafort brokering a deal for Ecuador to relinquish Julian Assange to American authorities in exchange for concessions such as debt relief from the United States. Manafort acted as the go between for the China Development Bank's investment fund to support bailout bonds for Puerto Rico's sovereign debt financing and other infrastructure items. Also, he advised a Shanghai construction billionaire, Yan Jiehe (严介和) who owns the Pacific Construction Group (太平洋建设) and is China's seventh richest man with a fortune estimated at $14.2 billion in 2015, on obtaining international contracts. In mid-2017, Manafort left the United States in order to help organize the Iraqi Kurdistan independence referendum that was to be held on September 25, 2017, something that surprised both investigators and the media. He was hired by the KRG president Masoud Barzani's son Masrour Barzani who heads the Kurdish Security Council. To help Manafort's efforts in supporting Kurdish freedom and independence, his longtime associate Phillip M. Griffin traveled to Erbil prior to the vote. The referendum was not supported by United States Secretary of Defense James Mattis. Manafort returned to the United States just before both his indictment and the start of the 2017 Iraqi–Kurdish conflict in which the Peshmerga-led Kurds lost the Mosul Dam and their main revenue source at the Baba GurGur Kirkuk oilfields to Iraqi forces. Manafort's work in Ukraine coincided with the purchase of at least four prime pieces of real estate in the United States, worth a combined $11 million, between 2006 and early 2012. In 2006, Manafort purchased an apartment on the 43rd floor of Trump Tower for a reported $3.6 million. Manafort, however, purchased the unit indirectly, through an LLC named after him and his partner Rick Hannah Davis, "John Hannah, LLC." That LLC, according to court documents in Manafort's indictment, came into existence in April 2006, roughly one month after the Ukrainian parliamentary elections that saw Manafort help bring Yanukovych back to power on March 22, 2006. According to Ukrainian journalist Mustafa Nayyem, the Ukrainian Oligarch sponsoring Yanukovych, Rinat Akhmetov, paid the $3 million purchase price for Manafort's Trump Tower unit for helping win the election. It was not until March 5, 2015, when Manafort's income from Ukraine dwindled, that Manafort would transfer the property out of John Hannah, LLC, and into his own personal name so that he could take out a $3 million loan against the property. As of February 2017[update], Manafort had about $12 million in home equity loans outstanding. For one home, loans of $6.6 million exceeded the value of that home; the loans are from the Federal Savings Bank of Chicago, Illinois, whose CEO, Stephen Calk, was a campaign supporter of Donald Trump and was a member of Trump's economic advisory council during the campaign. In July 2017, New York prosecutors subpoenaed information about the loans issued to Manafort during the 2016 presidential campaign. At the time, these loans represented about a quarter of the bank's equity capital. The Mueller investigation is reviewing a number of loans that Manafort has received since leaving the Trump campaign in August 2016, specifically $7 million from Oguster Management Limited, a British Virgin Islands-registered company connected to Russian billionaire Oleg Deripaska, to another Manafort-linked company, Cyprus-registered LOAV Advisers Ltd. This entire amount was unsecured, carried interest at 2%, and had no repayment date. Additionally, NBC News found documents that reveal loans of more than $27 million from the two Cyprus entities to a third company connected to Manafort, a limited-liability corporation registered in Delaware. This company, Jesand LLC, bears a strong resemblance to the names of Manafort's daughters, Jessica and Andrea. The FBI reportedly began a criminal investigation into Manafort in 2014, shortly after Yanukovych was deposed during Euromaidan. That investigation predated the 2016 election by several years and is ongoing. In addition, Manafort is also a person of interest in the FBI counterintelligence probe looking into the Russian government's interference in the 2016 presidential election. On January 19, 2017, the eve of Donald Trump's presidential inauguration, it was reported that Manafort was under active investigation by multiple federal agencies including the Central Intelligence Agency, National Security Agency, Federal Bureau of Investigation, Director of National Intelligence, and the financial crimes unit of the Treasury Department. Investigations were said to be based on intercepted Russian communications as well as financial transactions. It was later confirmed that Manafort was wiretapped by the FBI "before and after the election ... including a period when Manafort was known to talk to President Donald Trump." The surveillance of Manafort began in 2014, before Donald Trump announced his candidacy for President of United States. And of course he went in and actually did things. He changed the Republican national platform to please his benefactors in Ukraine. He has been working with people like Stone and Trump, associated with them, for 30 years. You can trace the crimes of Paul Manafort, the crime machine, for 30 years. Post-indictment, he went on to commit even more crimes. So there's such a wealth of information about Paul Manafort in the public domain that I don't think we quite need the Mueller report to see that information. What we need are indictments. We need people like Manafort to be put behind bars as a matter of national security and as a matter of public safety. In May 2017, in response to a request of the Senate Select Committee on Intelligence (SSCI), Manafort submitted over "300 pages of documents ... included drafts of speeches, calendars and notes from his time on the campaign" to the Committee "related to its investigation of Russian election meddling." On July 25, he met privately with the committee. A congressional hearing on Russia issues, including the Trump campaign-Russian meeting, was scheduled by the Senate Committee on the Judiciary for July 26, 2017. Manafort was scheduled to appear together with Donald Trump Jr., while Trump’s son-in-law Jared Kushner was to testify in a separate closed session. After separate negotiations, both Manafort and Trump Jr. met with the committee on July 26 in closed session and agreed to turn over requested documents. They are expected to testify in public eventually. On October 30, 2017, Manafort was arrested by the FBI after being indicted by a federal grand jury as part of Robert Mueller's investigation into the Trump campaign. The indictment against Manafort and Rick Gates charged them with engaging in a conspiracy against the United States, engaging in a conspiracy to launder money, failing to file reports of foreign bank and financial accounts, acting as an unregistered agent of a foreign principal, making false and misleading statements in documents filed and submitted under the Foreign Agents Registration Act (FARA), and making false statements. Prosecutors claimed Manafort laundered more than $18 million, money he had received as compensation for lobbying and consulting services for pro-Russian, former Ukrainian prime minister Viktor Yanukovych. Following the hearing, Manafort's attorney Kevin M. Downing made a public statement to the press proclaiming his client's innocence while describing the federal charges stemming from the indictment as "ridiculous". 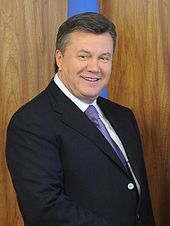 Downing defended Manafort's decade-long lobbying effort for Viktor Yanukovych, describing their lucrative partnership as attempts to spread democracy and strengthen the relationship between the United States and Ukraine. Judge Stewart responded by threatening to impose a gag order, saying "I expect counsel to do their talking in this courtroom and in their pleadings and not on the courthouse steps." On January 3, 2018, Manafort filed a lawsuit challenging Mueller's broad authority and alleging the Justice Department violated the law in appointing Mueller. A spokesperson for the department replied that "The lawsuit is frivolous but the defendant is entitled to file whatever he wants". On February 2, 2018, the Department of Justice filed a motion seeking to dismiss the civil suit Manafort brought against Mueller. Judge Jackson dismissed the suit on April 27, 2018, citing precedent that a court should not use civil powers to interfere in an ongoing criminal case. She did not, however, make any judgment as to the merits of the arguments presented. On February 28, 2018, Manafort entered a not guilty plea in the District Court for the District of Columbia. Judge Jackson subsequently set a trial date of September 17, 2018, and reprimanded Manafort and his attorney for violating her gag order by issuing a statement the previous week after former co-defendant Gates pleaded guilty. Manafort commented, "I had hoped and expected my business colleague would have had the strength to continue the battle to prove our innocence." On March 8, 2018, Manafort also pleaded not guilty to bank fraud and tax charges in federal court in Alexandria, Virginia. Judge T. S. Ellis III of the Eastern District of Virginia set his trial on those charges to begin on July 10, 2018. He later pushed the trial back to July 24, citing a medical procedure involving a member of Ellis's family. Ellis also expressed concern that the special counsel and Mueller were only interested in charging Manafort to squeeze him for information that would reflect on Mr. Trump or lead to Trump's impeachment. Ellis later retracted his comments against the Mueller prosecution. On June 8, 2018, Manafort was indicted for obstruction of justice and witness tampering along with long time associate Konstantin Kilimnik. The charges involved allegations that Manafort had attempted to convince others to lie about an undisclosed lobbying effort on behalf of Ukraine's former pro-Russian government. Since this allegedly occurred while Manafort was under house arrest, Judge Jackson revoked Manafort's bail on June 15 and ordered him held in jail until his trial. Manafort was booked into the Northern Neck Regional Jail in Warsaw, Virginia, at 8:22 PM on June 15, 2018, where he was housed in the VIP section and kept in solitary confinement for his own safety. On June 22, Manafort's efforts to have the money laundering charges against him dismissed were rejected by the court. Citing Alexandria's D.C. suburbia status, abundant and significantly negative press coverage, and the margin by which Hillary Clinton won the Alexandria Division in the 2016 presidential election, Manafort moved the court for a change of venue to Roanoke, Virginia on July 6, 2018, citing Constitution entitlement to a fair and unbiased trial. On July 10, Judge T. S. Ellis ordered Manafort to be transferred back to the Alexandria Detention Center, an order Manafort opposed. As of January 2019, Manafort is still in jail. On March 13, 2019, the same day on which he was sentenced in the Washington case, Manafort was indicted by the Manhattan District Attorney on 16 charges related to mortgage fraud. District Attorney Cyrus Vance Jr. said the charges stemmed from an investigation launched in March 2017. Unlike his previous convictions, these were levied by the State of New York, and therefore a presidential pardon cannot override or affect the sentence in the event of conviction. NBC News reported in August 2017 that a state investigator was exploring jurisdiction to charge potential defendants in the Mueller probe with state crimes, and that such charges could provide an end run around any presidential pardons. The numerous indictments against Manafort were divided into two trials. Manafort was tried in the Eastern District of Virginia on eighteen charges including tax evasion, bank fraud, and hiding foreign bank accounts - financial crimes uncovered during the special counsel's investigation into Russia's role in the 2016 election. The trial began on July 31, 2018 before U.S. District Judge T. S. Ellis III. On August 21, the jury found Manafort guilty on eight of the eighteen charges, while Ellis declared a mistrial on the other ten. He was convicted on five counts of tax fraud, one of the four counts of failing to disclose his foreign bank accounts, and two counts of bank fraud. The jury was hung on three of the four counts of failing to disclose, as well as five counts of bank fraud, four of them related to the Federal Savings Bank of Chicago run by Stephen Calk. Mueller’s office advised the court that Manafort should receive a sentence of 20 to 24 years, a sentence consistent with federal guidelines, but on March 7, 2019, Ellis sentenced Manafort to just 47 months in prison, less 9 months for time already served, adding that the recommended sentence was "excessive" and that Manafort had lived an "otherwise blameless life." However, Ellis noted that Manafort had not expressed "regret for engaging in wrongful conduct". Manafort's trial in the U.S. District Court for the District of Columbia was scheduled to begin in September 2018. He was charged with conspiracy to defraud the United States, money laundering, failing to register as a foreign lobbyist, making false statements to investigators, and witness tampering. On September 14, 2018, Manafort entered into a plea deal with prosecutors and pleaded guilty to two charges: conspiracy to defraud the United States and witness tampering. He also agreed to forfeit to the government more than $22 million in cash and property, and to co-operate fully with the Special Counsel. A tentative sentencing date for Manafort's guilty plea in the D.C. case has been set for March 2019. Mueller's office stated in a November 26, 2018, court filing that Manafort had repeatedly lied to prosecutors about a variety of matters, breaching the terms of his plea agreement. Manafort's attorneys disputed the assertion. On December 7, 2018, the special counsel's office filed a document with the court listing five areas in which they say Manafort lied to them, which they said negated the plea agreement. DC District Court judge Amy Berman Jackson ruled on February 13, 2019, that Manafort had violated his plea deal by repeatedly lying to prosecutors. In a February 7, 2019, hearing before U.S. District Court for the District of Columbia Judge Amy Berman Jackson, prosecutors speculated that Manafort had concealed facts about his activities to enhance the possibility of his receiving a pardon. They said that Manafort's work with Ukraine had continued after he had made his plea deal and that during the Trump campaign, he met with his campaign deputy Rick Gates, who also had pleaded guilty in the case, and with alleged Russian Federation intelligence agent, Konstantin Kilimnik, in an exclusive New York cigar bar. Gates said the three left the premises separately, each using different exits. On March 13, 2019, Jackson sentenced Manafort to 73 months in prison, with 30 months concurrent with the jail time he received in the Virginia case, for a resultant sentence of an additional 43 months in jail (30 additional months for conspiracy to defraud the United States and 13 additional months for witness tampering). Manafort also apologized for his actions. In 2017, Massachusetts lawyer J. Whitfield Larrabbee filed a misconduct complaint against Manafort in the Connecticut Statewide Grievance Committee, seeking his disbarment on the basis of "conduct involving dishonesty, fraud, deceit and misrepresentation." In 2018, after Manafort pleaded guilty to conspiracy, the Connecticut Office of Chief Disciplinary Counsel brought a case against Manafort. In January 2019, ahead of a disbarment hearing, Manafort resigned from the Connecticut bar and waived his right to ever seek readmission. Manafort has been married to Kathleen Bond Manafort since August 12, 1978; she graduated from George Washington University with a B.B.A. in 1979, became an attorney after graduating from Georgetown University Law Center with a J.D. and passing her Virginia Bar exam in 1988, and became a member of the DC Bar in 1991. They have two adult daughters. ^ The individuals on the first list of United States sanctions for individuals or entities involved in the Ukraine crisis are Sergey Aksyonov, Sergey Glazyev, Andrei Klishas, Vladimir Konstantinov, Valentina Matviyenko, Victor Medvedchuk, Yelena Mizulina, Dmitry Rogozin, Leonid Slutsky, Vladislav Surkov, and Viktor Yanukovych. ^ Katelyn Polantz (October 20, 2018). "Manafort appears in court in wheelchair, to be sentenced in February". CNN Politics. Retrieved December 20, 2018. ^ a b Kovensky, Josh (January 11, 2019). "From Prison, Manafort Gives Up Connecticut Law License". ^ Vigdor, Neil. "Paul Manafort resigns from Connecticut bar ahead of misconduct hearing - Hartford Courant". courant.com. ^ CNN, Katelyn Polantz. "Paul Manafort pleads guilty and agrees to cooperate with Mueller investigation". CNN. Retrieved March 8, 2019. ^ a b c "Paul Manafort found guilty on eight counts". CNN. August 21, 2018. Retrieved August 21, 2018. ^ a b Matthews, Dylan. "Why Paul Manafort pleaded guilty to "conspiracy against the United States"". Vox. Retrieved March 14, 2019. ^ Zurcher, Anthony (September 14, 2018). "Winners and losers from the Manafort plea deal". BBC News. Retrieved September 15, 2018. ^ LaFraniere, Sharon (November 26, 2018). "Manafort Breached Plea Deal by Repeatedly Lying, Mueller Says". The New York Times. Retrieved November 27, 2018. ^ Spencer S. Hsu (February 13, 2019). "Federal judge finds Paul Manafort lied to Mueller probe about contacts with Russian aide". The Washington Post. Retrieved February 13, 2019. ^ "Paul Manafort's lawyers say long prison term would 'likely amount to a life sentence' for Trump aide". USA TODAY. ^ "Paul Manafort sentenced to less than 4 years in prison after judge praises 'otherwise blameless life'". NBC News. Retrieved March 8, 2019. ^ Samuelsohn, Darren. "Manafort's Virginia sentencing set for March 8". POLITICO. ^ Samuelsohn, Darren. "Manafort's D.C. sentencing delayed to March 13". POLITICO. ^ Rashbaum, William K. (March 13, 2019). "New York Charges Manafort With 16 Crimes. If He's Convicted, Trump Can't Pardon Him" – via NYTimes.com. ^ a b c Reagan, Ronald (May 13, 1981). "Nomination of Paul J. Manafort, Jr., To Be a Member of the Board of Directors of the Overseas Private Investment Corporation Archived May 22, 2011, at the Wayback Machine." In Gerhard Peters and John T. Woolley, The American Presidency Project. Hosted online by the University of California, Santa Barbara, CA. www.presidency.ucsb.edu. Retrieved August 1, 2016. ^ "About Us". Manafort Brothers Inc. Archived from the original on November 3, 2017. Retrieved October 30, 2017. ^ a b c LaFraniere, Sharon; Vogel, Kenneth P.; Haberman, Maggie (August 12, 2018). "The Rise and Fall of Paul Manafort: Greed, Deception and Ego". New York Times. Retrieved August 14, 2018. ^ Peters, Gerhard; Woolley, John. "Ronald Reagan's Nomination of Paul J. Manafort, Jr., To Be a Member of the Board of Directors of the Overseas Private Investment Corporation". The American Presidency Project. Archived from the original on June 13, 2018. Retrieved February 23, 2018. ^ McCaskill, Nolan; et al. (August 19, 2016). "Paul Manafort resigns from Trump campaign". Politico. The [Trump] family was particularly troubled by reports of Manafort's involvement with Russia and felt he hadn't been entirely forthright about his activities overseas, the source said. Family members were also unhappy about changes made to the GOP platform that were seen as beneficial to Russia, which they felt Manafort played a role in, the source added. ^ Polantz, Katelyn (January 8, 2019). "Mueller believes Manafort fed information to Russian with intel ties". CNN. Retrieved January 9, 2019. ^ LaFraniere, Sharon; Vogel, Kenneth P.; Haberman, Maggie (January 8, 2019). "Manafort Accused of Sharing Trump Polling Data With Russian Associate". Retrieved January 9, 2019 – via NYTimes.com. ^ Voreacos, David (July 12, 2018). "Mueller Wants Manafort Jury to Hear of Lobbying Decades Ago". Bloomberg News. ^ Isikoff, Michael (April 18, 2016). "Top Trump aide lobbied for Pakistani spy front". Yahoo! News. Archived from the original on April 18, 2016. Retrieved April 29, 2016. ^ a b c Ames, Mark (October 1, 2008). "McCain's Kremlin Ties". The Nation. Retrieved August 27, 2018. ^ a b Simpson, Glenn (April 17, 2007). "How Lobbyists Help Ex-Soviets Woo Washington". The Wall Street Journal. Archived from the original on September 20, 2015. Retrieved August 27, 2018. ^ a b c Forrest, Brett (August 30, 2017). "Paul Manafort's Overseas Political Work Had a Notable Patron: A Russian Oligarch". The Wall Street Journal. Archived from the original on August 30, 2017. Retrieved August 27, 2018. ^ Boudreaux, Richard (February 9, 2010). "Candidates Sought Guidance From American Consultants". The Wall Street Journal. Archived from the original on January 24, 2016. Retrieved March 31, 2016. ^ "Ukraine and Russia Sanctions". United States Department of State. Archived from the original on July 20, 2014. Retrieved November 7, 2016. ^ Horwitz, Jeff; Day, Chad (August 23, 2016). "Trump aides covertly fought freeing of Ukraine prisoner". Associated Press. Archived from the original on August 24, 2016. Retrieved August 24, 2016. ^ a b Ostrovsky, Simon (March 11, 2017). "Ukraine seeks probe of hacked Manafort texts". CNN. Retrieved March 12, 2017. ^ a b c d e f Vogel, Kenneth P.; Becker, Jo (September 20, 2017). "Manafort Working on Kurdish Referendum Opposed by U.S." New York Times. Retrieved October 9, 2018. ^ Vogel, Kenneth P.; Casey, Nicholas (December 3, 2018). "Manafort Tried to Broker Deal With Ecuador to Hand Assange Over to U.S." New York Times. Retrieved December 4, 2018. ^ Vogel, Kenneth P. (June 15, 2017). "Manafort still doing international work: Trump's former campaign chairman is under FBI investigation, but some say he is touting access to the president to prospective business partners". Politico. Retrieved October 15, 2018. ^ "Yan Jiehe (严介和)". Retrieved November 27, 2018. ^ "Yan Jiehe, CPCG: the Chinese billionaire turned debt collector". Financial Times. February 1, 2015. ^ Fouad, Sam (September 26, 2017). "How Paul Manafort is profiting from the Kurdish independence referendum". The New Arab. Archived from the original on September 27, 2017. Retrieved June 27, 2018. ^ Greenwood, Max (September 20, 2017). "Manafort working on Kurdish independence referendum: report". The Hill. Retrieved October 9, 2018. ^ Moore, Jack (September 21, 2018). "Manafort has a new job: Helping the Kurdish referendum, a vote the U.S. opposes". Newsweek. Retrieved October 9, 2018. ^ Morris, Loveday; El-Ghobashy, Tamer; Shwan, Aaso Ameen (October 17, 2017). "Iraqi forces move deeper into Kurdish-held areas, redrawing political map". Washington Post. Archived from the original on October 18, 2017. Retrieved October 9, 2018 – via www.WashingtonPost.com. 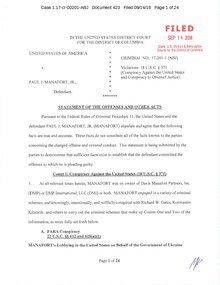 ^ "Full Text: Paul Manafort indictment". Politico. October 30, 2017. Retrieved October 9, 2018. ^ a b c Sarah Kendzior, AM Joy, Saturday, February 23, 2019, at 10:04 a.m., MSNBC. Accessed 23 February 2019. ^ Borger, Julian (October 7, 2017). "The Trump-Russia dossier: why its findings grow more significant by the day". The Guardian. Retrieved December 28, 2017. ^ Perez, Evan; Herb, Jeremy (October 30, 2017). "Manafort, Gates charged with conspiracy against US". CNN. Retrieved October 30, 2017. ^ Katelyn Polantz. "Manafort worked on op-ed with Russian while out on bail, prosecutors say". CNN. Retrieved December 4, 2017. ^ Evan Perez. "Manafort sues Mueller in Russia probe". CNN. Retrieved January 3, 2018. ^ Day, Chad (April 27, 2018). "Judge tosses Manafort civil suit challenging special counsel". Associated Press. Retrieved April 27, 2018. ^ Freifeld, Karen. "U.S. judge apologizes to prosecutors in former Trump aide..." U.S. Retrieved October 19, 2018. ^ "Manafort Trial Is to Go Forward, but Judge Warns Mueller to Stay Within Authority". Retrieved June 27, 2018. ^ Nelson, Louis (July 10, 2018). "Manafort balks at jail move". Politico. Retrieved September 15, 2018. A federal judge on Tuesday ordered that former Trump campaign chairman Paul Manafort, currently jailed while awaiting trial, be moved to a detention center in Alexandria, Virginia. ^ Kelly Burch (January 11, 2019). "Paul Manafort Is Depressed in Jail, Lawyers Say". The Fix. Retrieved February 27, 2019. ^ "Presidential pardons might not end Russia prosecutions". NBC News. Retrieved March 18, 2019. ^ Smith, David; McCarthy, Tom (July 31, 2018). "Paul Manafort trial is first court test for special counsel Robert Mueller". The Guardian. Retrieved September 15, 2018. ^ "Mueller's office seeks prison sentence of 20 years or more for ex-Trump campaign chairman Paul Manafort". USA TODAY. ^ Lynch, Sarah N. (March 7, 2019). "U.S. judge gives Trump ex-aide Manafort leniency: under four years in prison". Reuters. Retrieved March 9, 2019. ^ Breuninger, Kevin (March 8, 2019). "Ex-Trump campaign boss Paul Manafort's light sentence in Mueller case could soon become much longer". CNBC. Retrieved March 11, 2019. ^ "Paul Manafort sentenced: Live updates". CNN. March 7, 2019. Retrieved March 11, 2019. ^ Gile, Charlie; Connor, Tracy. "Judge reprimands Paul Manafort for speaking out after Gates plea deal". NBC News. Retrieved February 28, 2018. ^ Hsu, Spencer S. (August 24, 2018). "Paul Manafort's trial in D.C. to take 3 weeks, probe Ukraine lobbying world". Washington Post. Retrieved August 25, 2018. ^ "Paul Manafort has agreed to cooperate with Robert Mueller". Retrieved September 14, 2018. ^ "Manafort forfeits $22 million in New York real estate in plea deal". NBC News. September 15, 2018. Retrieved September 16, 2018. ^ "Manafort in plea deal over second trial". BBC News. September 14, 2018. Retrieved September 14, 2018. ^ a b Polantz, Katelyn; Cohen, Marshall (December 8, 2018). "Mueller: Paul Manafort lied about contacts with Trump administration this year". CNN. Retrieved December 8, 2018. ^ "Manafort Breached Plea Deal by Repeatedly Lying, Mueller Says". New York Times. November 26, 2018. ^ "Federal judge finds Paul Manafort lied to Mueller probe about contacts with Russian aide". Washington Post. ^ Manafort continued Ukraine work in 2018, prosecutors say, Washington Post, Spencer S. Hsu, Rosalind S. Helderman, and Matt Zapotosky, February 7, 2019. Retrieved February 8, 2019. ^ Pecorin, Allison. "Paul Manafort's sentence in DC case means he faces 81 months total behind bars". ABC News. Retrieved March 14, 2019. 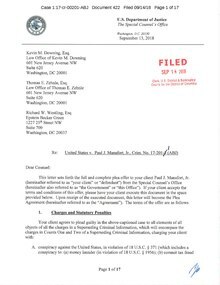 ^ Christopher Keating, Complaint Filed Seeking To Revoke Manafort's Law License In Connecticut, Hartford Courant (April 26, 2017). ^ Robert Storace, Manafort Faces Move for Disbarment in Connecticut, Connecticut Law Tribune (November 30, 2018). ^ Neil Vigdor, Paul Manafort resigns from Connecticut bar ahead of misconduct hearing, Hartford Courant (January 10, 2019). ^ Lauren Berg, Manafort Forfeits Law License Ahead Of Disbarment Hearing, Law360 (January 11, 2019). 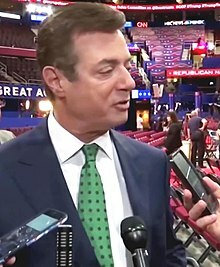 Wikimedia Commons has media related to Paul Manafort.